We offer individuals, communities, and companies an alternative for the disposal of used cooking oils and restaurant grease trap waste. At Organic Fuel we offer individuals, communities, and companies an alternative for the disposal of used cooking oils and restaurant grease trap waste. We collect these waste oils and converted them into environmentally friendly biodiesel through an enzymatic or traditional process. Our innovative procedures produces high quality biodiesel and beneficial by-products in the form of crude glycerin, fatty acids & high quality brown grease. We have the capacity to produce 5,000,000 gallons of ASTM grade biodiesel per year. With each gallon produce, 1 metric ton of greenhouse gases are eliminated. We are a pioneer in the green energy industry by recycling used cooking and converting it in to environmentally friendly biodiesel. Pick-ups are arranged for companies, plants, restaurants, and communities through municipality and community programs. These used cooking oils and fats, that would otherwise end up polluting the environment or affecting essential infrastructure, are processed, cleaned and converted into biodiesel. 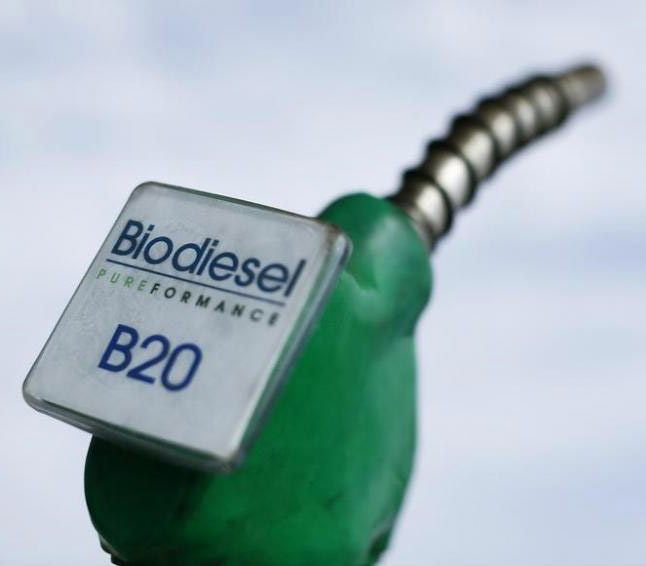 The biodiesel is then sold to fuel cars, trucks, boats, generators, and boilers. We provide companies with a highly effective way to reduce their carbon footprint and enhance their Corporate Social Responsibility, at a price that is competitive to petroleum diesel. Biodiesel is the name for the methanol-ester-based fuel made from vegetable oils and animal fats. It is a high-quality, clean burning, renewable fuel that is a direct replacement for petroleum based diesel. Up until 2006, biodiesel could be used in any diesel motor. From 2006 till today, it still can be used in any diesel motor, but mixed in proportions of 20% and 5% with diesel derived from petroleum. The use of biodiesel can extend the life of diesel engines because it is more lubricating than conventional petroleum diesel fuel, while fuel consumption, auto ignition, power output, and engine torque are relatively unaffected. Has a high flash point of about 392°F compared to petroleum diesel at 158 F.
Pure biodiesel degrades 85% to 88% in water within 28 days. Biodiesel is a proven fuel with over 50 years of use in Europe and 30 million successful US road miles. Combustion of biodiesel provides over a 75-90% reduction in environmental pollution and a 90% reduction in associated cancer risks. Biodiesel is the only alternative fuel to meet all environmental and human health requirements from the American Society for Testing and Materials (ASTM) and Environmental Protection Agency (EPA). U.S. uses over 2.1 billion gallons of biodiesel per year.